Not having Magnum, P.I. proves your list is wrong. You made an error. You failed to detect your error; you made two errors. You failed to _correct_ your error; you made three errors. You are flawed. 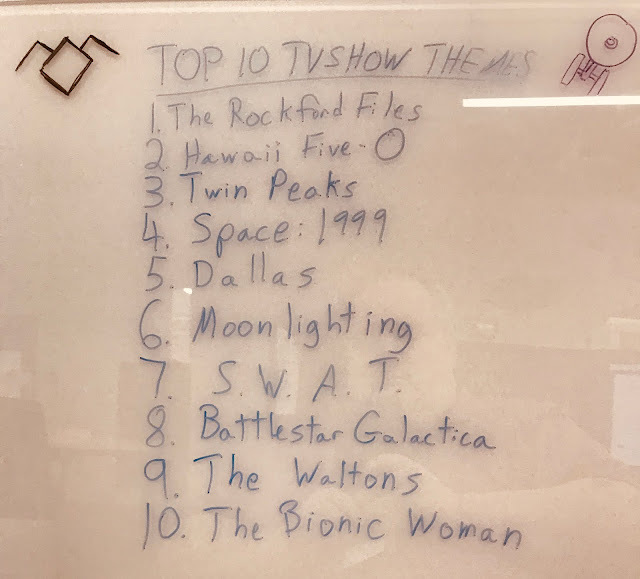 Magnum P.I., Knight Rider, and Miami Vice almost made the cut. Greatest American Hero almost made it too. Believe it or not, I'm not actually a big fan of the original Star Trek theme, much as I love the show! Alexander Courage made the list, though, with "The Waltons." Airwolf is definitely a solid choice.